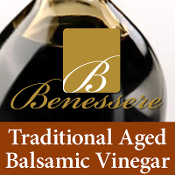 Our finest balsamic from Modena, Italy, and our best-selling product. This is the one your friends told you about. Produced in the traditional style and aged up to 18 years in oak.